McIntosh and Starr’s Mill has already played each other twice this season on the volleyball court. Both matches came during the regular season. The third meeting, this weekend, will be considerably more important. They will square off Saturday at 1:30 p.m. at Marietta High School for the AAAAA state championship. 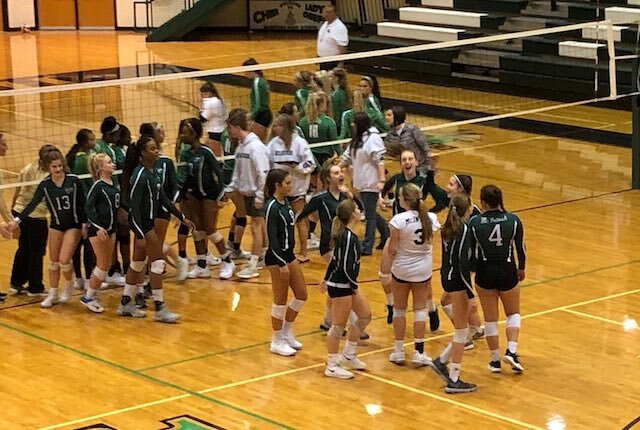 The Panthers defeated Whitewater 20-25, 22-25, 25-23, 25-16, 15-7 Tuesday night to advance and try to earn the second state volleyball title in the school’s history, having won the AAAAA championship in 2004. The Chiefs defeated Buford 25-13, 25-13 and 25-15 Tuesday night to reach the final. Buford won the AAAAA championship in 2016. Mcintosh is gunning for its fourth state championship since the Georgia High School Association began awarding them in 1993. Along with a AAAA title in 2007, the program won at the AAAAA level in 2013 and 2017. After the semifinal wins, the Chiefs are 38-3 on the season while the Panthers are 34-16 according to their MaxPreps tallies.